Drain the oil from a tin of sardines, then squeeze 2-3 drops of lemon juice on each sardine and allow them them stand on ice for about 60 minutes. Arrange crisp lettuce leaves on a chilled platter. 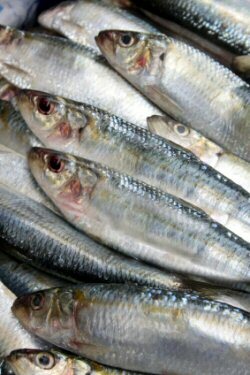 Place one sardine on each leaf, with a spoonful of mayonnaise dressing poured over each.